A groundbreaking book which helps business leaders and managers to adapt to rapidly changing economic and social situations. Businesses around the world are facing rapidly changing economic and social situations. Business leaders and managers must be ready to respond and adapt in new, innovative ways. 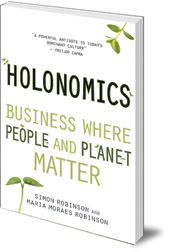 The authors of this groundbreaking book argue that people in business must adopt a ‘holonomic' way of thinking, a dynamic and authentic understanding of the relationships within a business system, and an appreciation of the whole. Complexity and chaos are not to be feared, but rather are the foundation of successful business structures and economics. 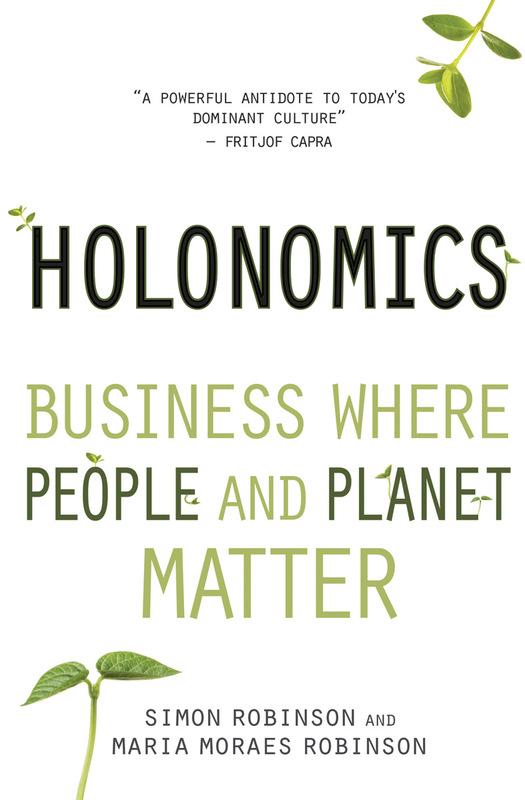 Holonomics presents a new world view where economics and ecology are in harmony. Using real-world case studies and practical exercises, the authors guide the reader in a new, holistic approach to business, towards a more sustainable future where both people and planet matter. Simon Robinson is a consultant in innovation, strategy and complexity. He was one of the founders of Genie Internet, the world's first mobile internet portal and is a member of BCI (Biomimicry for Creative Innovation). He has a Masters degree in Holistic Science from Schumacher College, UK. Maria Moraes Robinson is an economist and consultant in strategy, change management and the ‘Balanced Scorecard’ management tool. She is a teacher and lecturer, interested in the themes of the economics of happiness and human values in education, and is the co-author of Strategy Management: Experiences and Lessons of Brazilian Companies and The Strategic Activist.